Aqua 2206 - New furniture - May 2018 New Furniture, Master Bed & Mattresses, Lamps, New Paint! 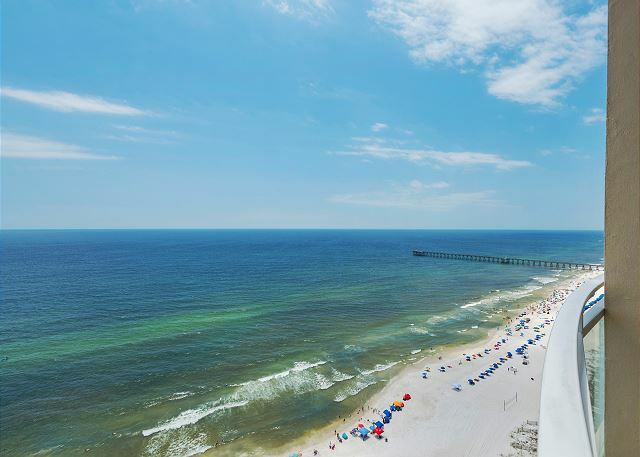 Make your vacation dreams come true in this twenty-second floor, professionally decorated one bedroom/two bath Aqua condominium with bonus bunk room. 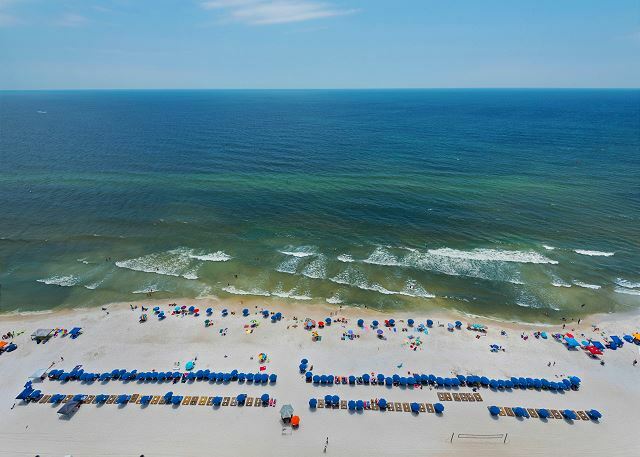 This Penthouse unit provides stunning views of both pools and the Gulf of Mexico from your private terrace. 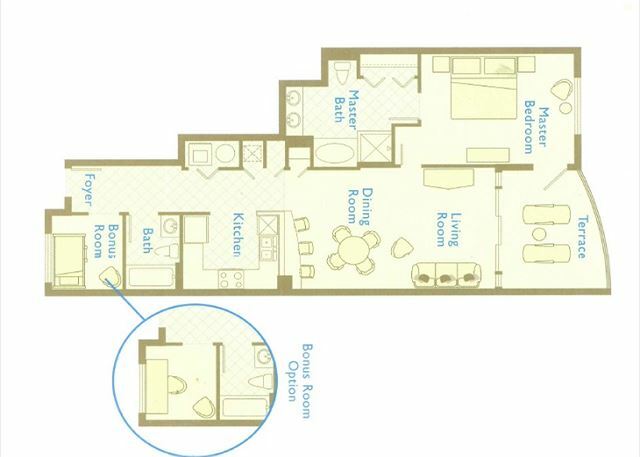 Only the Penthouse units enjoy see-through glass railing on the terrace, and ten foot ceilings throughout. The tastefully decorated interior includes full kitchen with granite countertops, refrigerator/icemaker, coffee/k-cup brewer, microwave, convection oven, and full size washer and dryer. The elegant master suite has a new bed/mattress and enjoys large windows overlooking the Gulf and a private terrace entry. It also features a separate glass-enclosed shower, a relaxing garden tub, double vanity with granite countertops along with generous closet space. Living area includes a comfortable sleeper/sofa and a 55" Smart TV with Xbox. The bonus room has two comfortable twin bunk beds, a 24" TV/DVD Player, and a window overlooking the wonderful shopping and nightlife of Pier Park. Free Beach Chairs(2) with Umbrella are included with each rental! Free WiFi included in room and throughout the building! Free parking for 2 cars included! 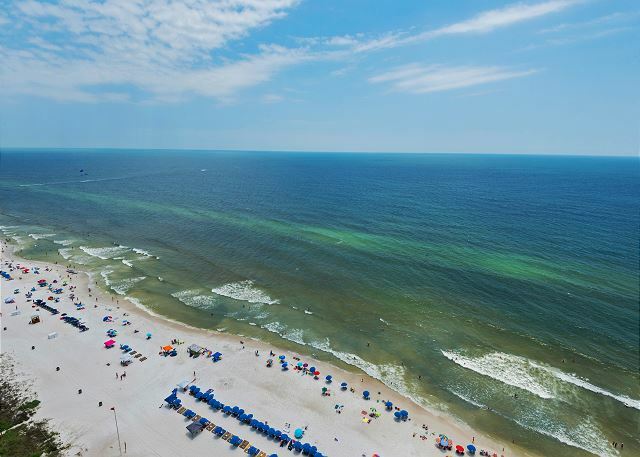 Fulfill your ultimate beachfront vacation dreams in this luxury Aqua condominium! The condo we stayed in, 2206, was very nice and clean. The location is very good. The check-in was quick and the staff very nice. We will stay here again. One last thing, no one ever cleaned. The elevator was nasty and the ramp by the pool was always wet.. even made my son fall.. one little girl fell and was taken away by ambulance.. and the reason why you couldnt find a luggage chart was bc people left them on each floor of the condo. Have someone collect them and return them. Also, the garage gait wasnt working properly, when told about it.. they once again never said Im sorry let me try and help.. they just said thats not pour problem its another company. Amazing stay! Can't wait to return! Only a quick long weekend but so needed and this condo was perfect! Thank you and thank you Aqua for your hospitality! I want to stay in this condo again!! !